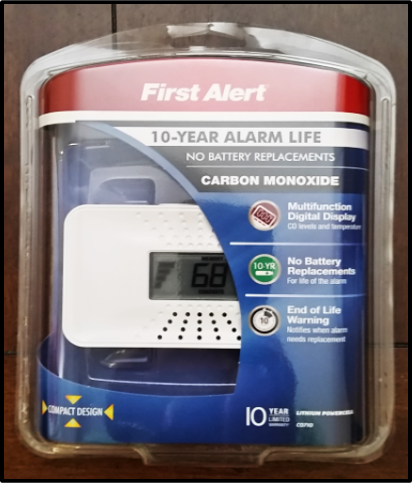 With the recent hurricane in Florida and all of the generators being used, we've been hearing so many sad stories about carbon monoxide affecting loved ones in the home. It is considered the 'silent killer' and prevention should be taken just as seriously as fire prevention in your home. Many people may not realize that carbon monoxide can come from a variety of places, such as your generator, chimney, furnace, garage, gas stove, water heater, and even the gas grill if it's a little too close to an intake vent. Of course, our number one priority is keeping our family safe and we hope that this information will help to keep yours safe as well! Carbon monoxide detectors are a MUST. We use the First Alert 10-year Carbon Monoxide Alarm in our home, which has quite a few additional features that most detectors do not. Check it out below! 10 Year Battery: this alarm uses a lithium powercell that lasts for 10 years. After 120 months of use it emits an "end of life" signal to alert you to get a replacement. Rigorous design and testing: the carbon monoxide sensor itself uses the highest accuracy configuration: electrochemical. The alarm was tested in simulated home environments known for carbon monoxide concentration, like clothes dryers, portable heaters, portable generators, fireplaces, garages, hood vents, water heaters, chimneys, etc. The siren is tested to ensure 85 decibels are generated, plenty loud enough to wake up the whole family. Temperature reading: digital face displays the ambient temperature. It's nice to have an additional way to monitor the home when you feel it's getting too hot or cold. 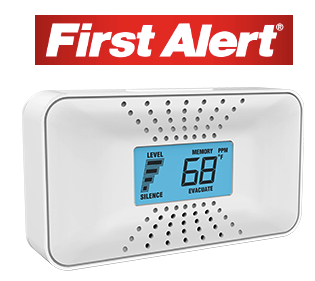 Disclaimer: The products in this post were provided by First Alert. As always, our posts are our own, honest opinions.